Though all of us want to live a long and healthy life, wishing alone would never bring us to a ripe old age. What we need is to imitate the lives of those who lived to tell the tale. One of whom is the Japanese physician Shigeaki Hinohara who lived to 105. Dr. Hinohara walked his talk because he had been studying longevity and helped built the foundations of Japanese medicine. Before passing away on July 18, 2017, he shared several basic guidelines for longevity with Judit Kawaguchi of the Japan Times. 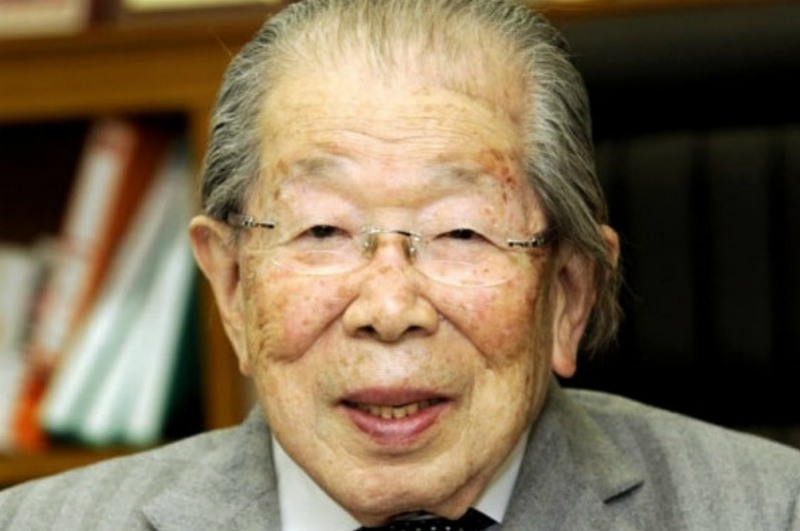 Read on and live your life up to a ripe old age the way Dr. Shigeaki Hinohara did. 1. Continue to contribute even until retirement age. While most of us are looking forward to the age of retirement, Dr. Hinohara advised the other way. For him, people who are living longer do not look to retire in life. They look to be busy with their purpose, passions, staying active and contributing to society. He believed that life is all about contribution, and proved this by treating patients even months before his death. His appointment book revealed that he had space for five more years. He managed to wake up early in the morning because of his incredible drive to help people. And probably, it’s what kept him alive. According to him that’s one of the secrets, having something to keep you alive. 2. Worry less and have more fun. Health enthusiasts keep telling us to mind what we eat and get enough sleep. But then, Dr. Hinohara had a different view. He said we should not be too concerned about these things. Instead, we should have more fun. As adults, we need to rekindle the childlike attitude in us. We need to remember how it’s like to be the child who may forget to eat or sleep as long as we’re having fun. Too many rules will tire the body according to Hinohara. According to him, the second secret is to not underestimate fun because that’s what fills your heart with energy and positivity. 3. Eat right and stay fit. Breakfast: Coffee, a glass of milk, orange juice with a tablespoon of olive oil, which is great for the arteries while keeping the skin healthy. Lunch: Milk, a few cookies (and nothing when he’s too busy because he can’t feel hunger when too focused on work). Dinner: Veggies, fish, and rice, 100 grams of lean meat twice a week. The third secret according to Hinohara is to find a diet that keeps you fit and healthy, or just follow his diet. 4. Question your doctor before heeding their advice. Hinohara might be a doctor, but he advised his patients not to follow every word their doctor says. Rather, they should ask their doctor if they would allow their spouse or children to go through the tests or surgeries they recommended. Hinohara also saw the unnecessary pain in surgery. For him, music and animal therapy work best. The fourth secret according to Hinohara is to look in Nature for possible remedies, maybe try music and animal therapy as he suggests. 5. Exercise more and combat pain with having more fun. Taking two stairs at a time was Hinohara’s secret to keeping his muscles moving. When it comes to pain, he said the best way to combat it is to have more fun. Children forget their pains when they’re having fun playing a game. At St. Luke’s International Hospital, where he was an honorary member, Hinohara and colleagues provided music, animal therapies, and art classes to cater the needs of their patients, most especially in pain management. And even if everything is alright with you pain is a part of life, we all feel it from time to time. Do not forget that fun can make it go away. The fifth secret according to Shigeaki Hinohara is to exercise and keep in mind that fun is more important than we give it credit for.